Get a detailed account of what it takes to survive alone on a dangerous island with this tale based on a true story. 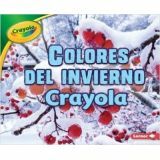 Add variety and differentiation with true or false, multiple choice and short answer questions. Put events in order as they occurred between the Aleuts and Karana's tribe. Brainstorm what Karana could have done in preparation for the Aleut's departure. Study vocabulary words found in the reading by using a dictionary to match words to their synonyms. Identify which character did the provided actions. Create a menu using only food that Karana has available on the island. Imagine what it's like to live alone for 18 years and write Karana a letter of encouragement. 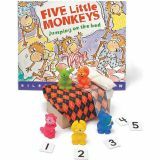 Aligned to your State Standards, additional crossword, word search, comprehension quiz and answer key are also included. 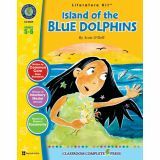 About the Novel: The classic story, Island of the Blue Dolphins, is based on the true story of a woman marooned on San Nicholas Island during the early 1800s. Karana, her family and her people are living on the island when the Aleuts (Russians) arrive to hunt the sea otters. The Aleuts kill the natives leaving Karana and her brother Ramo stranded on the island. Soon after, wild dogs kill Ramo, and Karana is left to struggle on her own. For eighteen years she lives to survive the weather, the animals, the Aleuts and the loneliness. This story is about a strong and courageous woman who proved that with determination, nothing is insurmountable. Empower students with the confidence to live on their own. Our in depth study combines the three lessons in this series: Independent Living, Managing Money, and Employment & Volunteering. Students will start by finding their own place to live and knowing how to get around. Then, students learn how to budget and prepare for their future. Finally, students join the workforce by learning how to write a resume and gaining valuable interview skills. 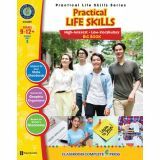 Comprised of reading passages, graphic organizers, real-world activities, crossword, word search and comprehension quiz, our resource continues the study of necessary Life Skills everyone should learn before venturing out on their own. All of our content is reproducible and aligned to your State Standards and are written to Bloom's Taxonomy. Be uprooted and dropped into a busy and overwhelming city to learn about friendship and belonging. 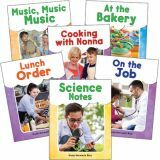 Take all the work out of planning a lesson so there's more time focused on comprehension and engaging hands-on follow-up activities. Do some research on the importance of crickets in the Chinese culture. Compare Chinatown with Times Square by listing three differences. Describe Chester's dream and what he did in response to it. Find the words the author used to represent sounds and explain what sounds they represent. Imagine what it would be like for Harry and Tucker to visit Chester in the country. Get into the 'skin' of Tucker to tell how he would act if he found money in Times Square. 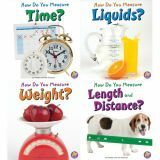 Aligned to your State Standards and written to Bloom's Taxonomy, additional crossword, word search, comprehension quiz and answer key are also included. 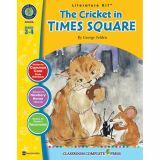 About the Novel: The Cricket in Times Square is the Newbery Honor-winning story of a cricket who finds himself taken away from his country home and dropped right in the Times Square subway station. Chester Cricket enjoys his home in Connecticut; however, one day he is brought to the city and immediately misses home. While in Times Square, Chester meets Tucker Mouse and Harry Cat, who quickly become friends with the musical insect. Chester is also adopted by Mario, a young boy who's family runs a small newspaper stand in the station. Throughout the story, Chester finds himself amidst many obstacles and struggling to prove he belongs in the big city. During the difficult years of the nineteenth century South, an African American boy and his poor family rarely have enough to eat. Each night, the boy's father takes their dog, Sounder, out to look for food and the man grows more desperate by the day. When food suddenly appears on the table one morning, it seems like a blessing. But the sheriff and his deputies are not far behind. The ever-loyal Sounder remains determined to help the family he loves as hard times bear down on them. This classic novel shows the courage, love, and faith that bind an African American family together despite the racism and inhumanity they face. 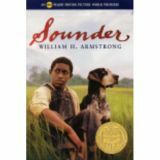 Readers who enjoy timeless dog stories such as Old Yeller and Where the Red Fern Grows will find much to love in Sounder. 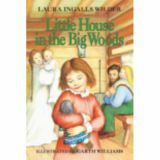 Laura Ingalls's story begins in 1871 in a little log cabin on the edge of the Big Woods of Wisconsin. Four-year-old Laura lives in the little house with her Pa, her Ma, her sisters Mary and Carrie, and their trusty dog, Jack. Pioneer life is sometimes hard, since the family must grow or catch all their own food as they get ready for the cold winter. 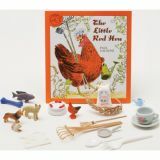 But it is also exciting as Laura and her folks celebrate Christmas with homemade toys and treats, do the spring planting, bring in the harvest, and make their first trip into town. And every night they are safe and warm in their little house, with the happy sound of Pa's fiddle sending Laura and her sisters off to sleep. And so begins Laura Ingalls Wilder's beloved story of a pioneer girl and her family. The nine Little House books have been cherished by generations of readers as both a unique glimpse into America's frontier past and a heartwarming, unforgettable story. 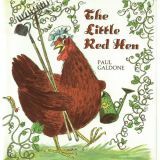 Galdone's dynamic, amusing pictures add much humor to the familiar tale of the industrious hen and lazy cat, dog, and mouse.